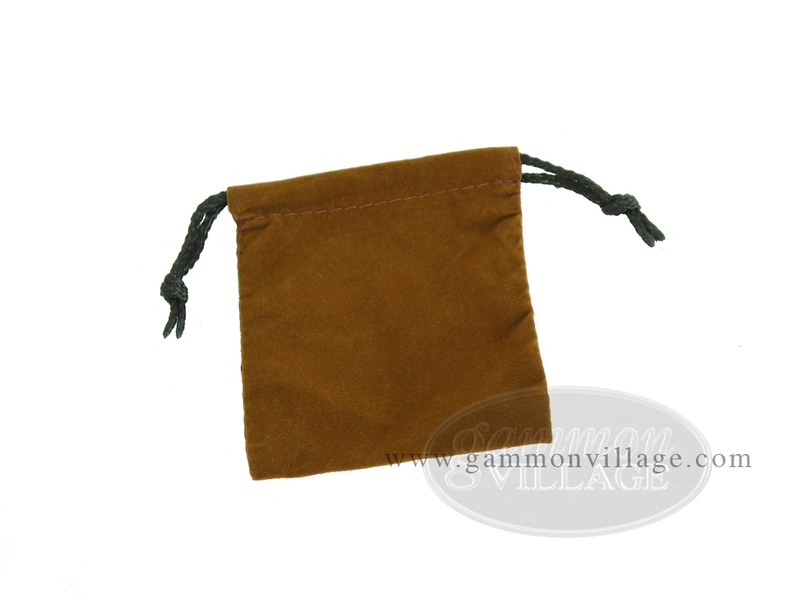 This deluxe brown felt dice bag with strong draw strings can comfortably accommodate your dice and doubling cube inside a nice fabric interior. Keep your backgammon accessories safe, and protect them from dust and scratches. Page P5762 Copyright © 1999-2019 GammonVillage Inc., USA. All rights reserved.